The project will take place on the eastern shore of Lake Baikal. Lake Baikal is a UNESCO World Heritage Site. The Russian Federal Government has recently designated this region as a Special Economic Zone (SEZ) with the hopes of encouraging the tourism development. 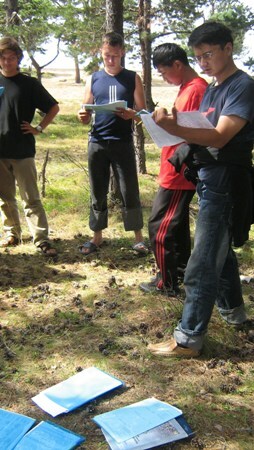 Our project is focused on conservation of rare endemic plants of Lake Baikal. The main idea of the project will be accomplished through the monitoring of populations of rare plants, the study of the ecological and biological characteristics of these species, and the ecological education of the local community and of tourists. Finally, it will concluded with elaboration of model of sustainable development of CEZ with conservation priorities.